Two Capital teams may still be scrapping it out for the CSL Eastern Premier Division title with three weeks of the campaign remaining, but tomorrow Stewart’s Melville are the local side in focus at the other end of the table. Since their two victories over Carlton and Glenrothes earlier in the summer, the Inverleith outfit have not been able to progress and, as a result, still sit second bottom in the top flight. This weekend they welcome winless bottom club Glenrothes to town knowing that a victory would erase any chance of them being relegated while putting the Fifers down at the same time. As a result Stewart’s Melville’s players have rallied round and skipper Greg Ruthven has pretty much a full strength side taking to the field in this one. Ruthven himself returns to take over the captaincy from Adam McHoul who remains in the XI, while Kyle McCallum and wicketkeeper Steve Parker also come into the side that were beaten convincingly by Carlton eight days ago. For Glenrothes, who were humbled by Heriot’s last time out, their skipper Safyaan Sharif will be doing all he can to play. The Scotland man has a contract with English county side Derbyshire so it just depends if they require him in the coming days or not. 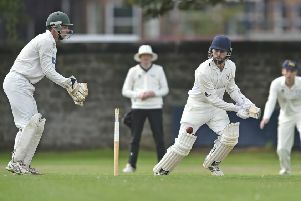 Whoever plays, Stewart’s Melville are just focused on their own performance and Ruthven wants his batsmen to come to the party after a tough season. “We got good wins over Carlton and then Glenrothes mid-season and we were feeling good at that point, we felt like we could kick on,” Ruthven explained. “However, for whatever reason that has not happened and we have left ourselves in this position. “Everything is in our own hands though, the boys know that a win at the weekend would see us safe and that is all we are focusing on. 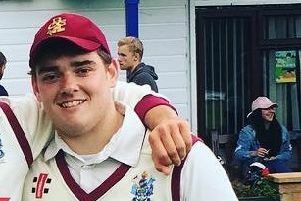 “Although we have lost a few games in recent weeks the bowling side of things has not been too bad and Tom Hilton has come on a lot, doing a good job opening the bowling for us. “It has been with the bat that we have had problems, a cluster of guys have never clicked on the same day and posted or chased a good total so maybe it is time for that to change. Meanwhile, leaders Mazars Grange know they can take another step towards the title if they can overcome Arbroath at Portgower Place. Arbroath are seventh in the table and, after pushing Heriot’s hard for the top spot last year, have had a poor campaign by their standards. They still have some potential matchwinners in their ranks though. Second placed Heriot’s have captain Keith Morton back along with Chris Ashforth and main seam bowler Elliot Ruthven as they travel to Myreside to play Watsonians. With Watsonians having made themselves assured of safety last weekend this derby promises to be intriguing and the home side have sprung a surprise by naming Aman Bailwal in their side. He played for them last year, but now lives abroad and is only back for a short spell with Brendan O’Connell and Tom Cullen also into the XI. Carlton, in fourth, host Aberdeenshire with Calum Everett and Ali Shah come into the team with Rory McCann and Omar Ahmad unavailable. Mid-table RH Corstorphine are at Forfarshire on a day when their stalwart member Jim McFadyen will be donning his whites for the first time since 2002 for the third XI. McFadyen is playing in the East League Six match at Holy Cross’ Arboretum ground to mark 60 years in the game and fundraise in the process.